STAY TUNED, JOIN OUR MAILING! Hi Guys! 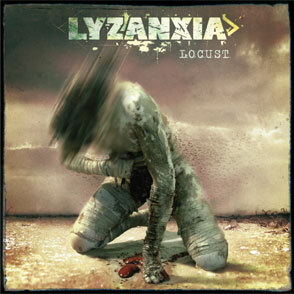 Our fourth album - LOCUST - has been releases on May 31, 2010. You may not find it in stores because our distributor has changed. You’ll find it in our online shop at a very special price! 'I think it holds a very high standard all the way from the songs through recording and mix. A very good and powerful production'. Hi everyone! This time at the Hellfest was hot and loud! Thank you very much to all those of you who woke up to bang your head with us! We had a blast again! We were glad to play the new songs and the older one on the Mainstage 2. Watch our interview with the crazy guys of Metal Sickness Below! You’ll find some cool pictures of Anthony Dubois in our Media Section. 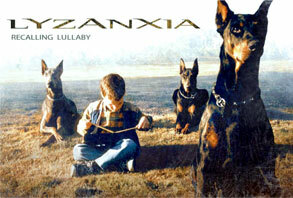 RECALLING LULLABY, EP for free on Soundcloud! 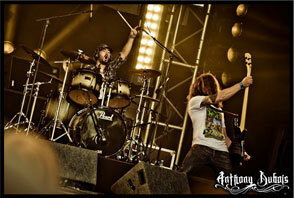 Video Interview with Metal Sickness At the HellFest 2011! Watch this video interview with the guys of the French webine Metal Sickness (French language, no subtitles). We’re talking about our latest album Locust and our performance at the Hellfest on the Mainstage 2.